Sultan Muhammad Khan Golden has to his credit the world record of jumping over 22 cars in 1987 during the national horse and cattle show in Lahore, where he covered 249 feet distance, leaving behind USA 's ever achieved Koddosely who had covered 246 feet while jumping over cars. Following is a list of his Achievements sorted according to the Year. He created Asian Record during National Games 1986 in Quetta by jumping over 15 cars on motor cycle for which he was awarded a trophy and a certificate by then Chief Minister of Balochistan. He jumped over 5 cars and performed the stunt of reeling the car. He also broke through 3 burning wooden walls at fortress stadium Lahore during National Horse and cattle show in 1986, where Prime Minister Muhammad Khan Joenjo, Governor of Punjab and Chief Minister of Punjab awarded him a Gold Medal, trophy and Cash Prize. Later On in a stunt, he enveloped within the blanket of the motorcar and performed acrobatic features as the Car rolled, at Fortress Stadium Lahore during National Horse and Cattle show in 1986 where President of Pakistan (General Zia-ul-Haq) and his Royal Highness Sheikh Zayed Bin Al-Nahyan (President of UAE) were in guests of honor and the later inspired by his performance awarded him with Royal Dogger Trophy and Motor Car. He jumped over 20 parked cars on motor bike, he also crashed while jumping over 20 parked cars on a motor car. He was awarded with a trophy by the President of Pakistan (Late) Muhammad Zia-ul-Haq. During National Horse and Cattle Show at Fortress Stadium in 1987 he created world record by jumping over 22 parked cars on a Motor bike covering 249ft distance for which Prime Minister Muhammad Khan Jonego (Late) Awarded him Trophy and cash prize. He was enlisted in Guinness Book of world record based on creating world record of covering 249ft distance by jumping over 22 cars with Motor Cycle. He Jumped over 15 cars on a motor car during National Horse and Cattle Show 1989 for which then President of Pakistan Ghulam Ishaq Khan awarded him a Trophy. He performed a burning car jump over 15 cars, and performed a reverse car jump for the first time in the history of the world over 15 cars at fortress stadium, Lahore. Amir of Jannat Pakistan Party, Asarulislam Syed, M.D, Neurologist and Psychiatrist, lives in California, USA. Besides enjoying a deep interest in cognitive sciences and human behavior, he has held a lifelong interest in The Quran, and has devoted himself, pondering over The Final Message. A non-conformist Muslim , he has no religious sectarian affiliation or denomination. He delivers the rational message of The Quran from Shalimar Radio, Los Angeles, every Saturday at noon on Channel 900 AM. Born and raised in Lahore, his family comes from Tibba Syedan, Sialkot. His parents, Dr. Zubaida Gilani and Brigadier Habibus Saqlain, were both physicians from King Edward Medical College Lahore. His grandfather, Hafiz Syed Mohammed Isaac, a pupil of the renowned Syed Mir Hasan, Professor of Arabic at Scotch Mission School & Murray College, Sialkot, imparted to him, his first complete discourse (Dars) on translation and concepts of The Quran. While a medical student in Lahore in the 70’s, Asarulislam formally studied The Quran at the Tolu-e-Islam Quranic Education Center in Lahore, Pakistan. He was a dedicated pupil of Pakistan’s renowned Quranic scholar and QuaideAzam’s Political Advisor, Baba Ghulam Ahmed Parvez . Working as a physician in Saudi Arabia for seven years allowed him the opportunity to learn the Arabic language and metaphor, and develop a deeper understanding of the cultural and social settings of the lands which gave The Quran. His wife Nayla Asar Syed, M.D., a Child Psychiatrist, is a graduate from Fatima Jinnah Medical College and Kansas University Medical Center. Married for 33 years, they live on a farm in Southern California. They have four children. Asarulislam is an Abdalian, a Kemcolian, and a Jayhawk. Aisha graduated from the School of Oriental and African Studies, University of London (SOAS) in 2002 and thereafter undertook the Bar Vocational Court at BPP Law School London and the Honourable Society of Lincoln’s Inn and was called to the Bar in October 2003. 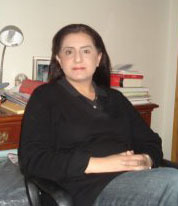 She then proceeded to complete the post graduate LLM degree from University College London, University of London (UCL) in Corporate and Commercial Law in September 2004 and thereafter worked in-house with a firm of solicitors in Middlesex, London before returning to Pakistan and joining Vellani & Vellani in May 2005. Since her return, Aisha has been involved in and had conduct of matters including general corporate and commercial transactional work including matters relating to finance and taxation, joint ventures, project financing, projects involving the grant and exploitation of government concessions, anti-trust, the setting up and operation of manufacturing facilities, banking and financing transactions, privatisation deals, mergers, acquisitions, foreign direct investment, incorporation of companies, public floatation and tender offers for listed securities, patent and copyright related work, general commercial and corporate litigation and certain arbitration matters. Such work has been conducted in the field of petroleum, natural gas, minerals, cement, steel, tobacco, edible oils, tea, shipping and trade, banking and finance, telecom and civil aviation, and coal washing and coal purification. She is enrolled as an advocate with the Sindh Bar Council and is a member of the Karachi Bar Council, the Honourable Society of Lincoln’s Inn, the International Association for the Protection of Intellectual Property Rights (AIPPI) and the Inter Pacific Bar Association (IPBA). Aisam ul Haque’s fiancé-to-be, Faha Kamal, a resident of England, has recently acquired a masters degree in psychotherapy from the University of Greenwich, UK. The couple got married on 17th December 2011 in Lahore. Kamal’s father, Dr Muhammad Akmal Makhdum is the son of renowned educationist of Pakistan, professor Muhammad Ajmal, former secretary education, principal of Government College Lahore and vice chancellor Punjab University. Ikram Sehgal completed Senior Cambridge and FSc from Lawrence College, Ghoragali. He attended Murari Chand (MC) College, Sylhet and Notre Dame College, Dhaka before graduating from Pakistan Military Academy (PMA), Kakul. Commissioned into 2E Bengal (Junior Tigers) in Oct 1965, the infantry unit his father raised in 1949, he served in Army Aviation (fixed wing and Helicopter Pilot) from 1968 to 1971. Taken PW in April 1971, in then East Pakistan, he was the first Pakistani PW to escape from India in July 1971. Joining 44 Punjab (now 4 Sindh) in Nov 1971, he was given battlefield promotion to the rank of Major on Dec 13, 1971, leaving the Army on Jan 24, 1974. He worked as a commercial pilot before starting his own business in 1977. A regular columnist in the print media since 1987, he graduated to his own TV Talk Show. Member of international organizations like the prestigious World Economic Forum (WEF), International Organization for Migration (IOM), etc. 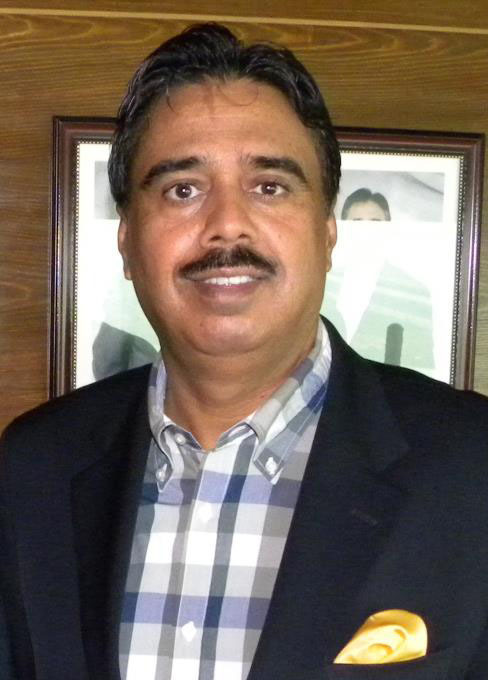 Ikram Sehgal is presently Chairman Pathfinder G4S, Pakistan. Aasiya Riaz, Joint Director of PILDAT coordinates various research projects within PILDAT and manages PILDAT’s projects and activities as PILDAT's co-director. She has over 8 years’ experience of working in the field of research, management, analysis and coordination. She has been working in the areas of democratic and legislative strengthening; research on political and public policy issues; civil-military relations; dialogues between the Muslim World and the West and Electoral Process, etc. Trained in the field of media and political communication at the London School of Economics, UK, Aasiya has worked with the mainstream press and electronic media in Pakistan as well. She was also a Reagan-Fascell Democracy Fellow at the National Endowment for Democracy where she worked on US Think Tanks and the subject of Civil-Military Relations. Aasiya also graduated from the Stanford University, USA Course on Democracy, Development and Rule of Law in August 2007. Mansoor Ijaz (born 1961) is an American businessman of Pakistani Ancestry. He is an investment banker and media commentator, mostly in relation to Pakistan, Iraq and Afghanistan. He is the founder and chairman of Crescent Investment Management LLC, a New York investment partnership since 1990 that includes retired General James Alan Abrahamson, former director of President Reagan's Strategic Defense Initiative. Ijaz has had ties to former CIA Director James Woolsey. Ijaz is also a member of the Council on Foreign Relations. Mansoor Ijaz was born in Tallahassee, Florida and grew up on a farm in rural VirginiaIjaz received his bachelor's degree in nuclear physicsfrom the University of Virginia in 1983 and master's degree in mechanical engineering from the Massachusetts Institute of Technology in 1985, where he was trained as a neural sciences engineer. His father, Dr. Mujaddid Ahmad Ijaz, was a theoretical physicist who played a major role in nuclear detterence development throughout 1970s and 1980s, and was a pioneering figure in the designing of the weapons. Ijaz developed CARAT, a currency, interest rate and equity risk management system. 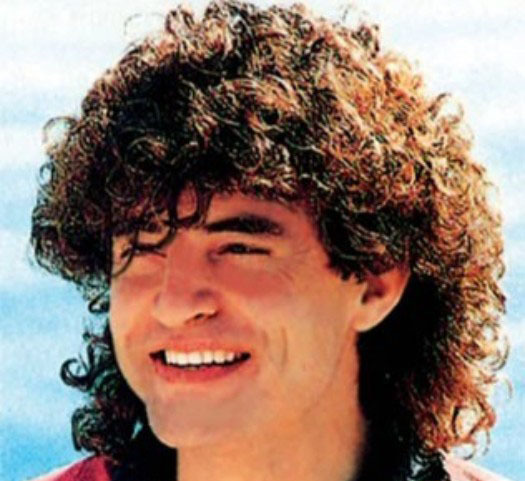 He started his own investment firm in 1990. Away from Crescent's daily business affairs, Ijaz serves on the College Foundation Board of Trustees at the University of Virginia and is a member of theCouncil on Foreign Relations. 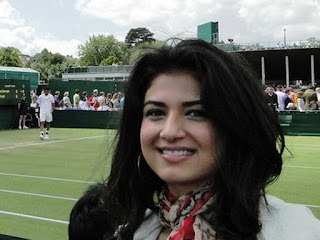 Sara Abbasi is a philanthropist who has been committed to spreading access to education worldwide. Her charitable work on various boards is marked by a dedication to breaking down cultural barriers and enabling cross-cultural understanding. Ms. Abbasi serves on the Board of Developments in Literacy (DIL), an international nonprofit organization that is dedicated to the advancement of female literacy in remote areas of Pakistan. Since 1997, DIL has built 200 schools in Pakistan. In 2001, Ms. Abbasi was the driving force in establishing DIL?s San Francisco chapter. Additionally, Ms. Abbasi serves on the board of The American Pakistan Foundation (APF), a nonprofit organization dedicated to expanding education, healthcare, micro-infrastructure and entrepreneurship opportunities to the under-privileged people of Pakistan. She serves on the board of One Nation, a national philanthropic initiative that promotes pluralism and inclusion in America; The World Affairs Council of Northern California; and Menlo School, an independent, accredited and coeducational college preparatory day school for students in grades 6?12. In 2003, Ms. Abbasi and her husband, Sohaib Abbasi, endowed the Sohaib and Sara Abbasi Program in Islamic Studies at Stanford University, a key forum for interdisciplinary research and teaching in Islamic Studies on the west coast. Aun Rehman is the Country Director/CEO of Acumen Fund Pakistan – a social-venture fund investing in enterprises providing essential products and services to low-income markets in Pakistan, and affiliated with Acumen Fund, Inc. (USA). Aun is overseeing portfolio management, as well as business development and operations. Before joining Acumen Fund, Aun Rahman worked for five years in economic and strategy consulting at Charles River Associates in Boston, specializing in financial modeling and quantitative analysis. Aun joined Acumen Fund in 2003 as a Fellow, working for 18 months with Acumen Fund's investee Saiban to structure and incubate an affordable commercial housing project in Lahore and to develop the organization's management information systems. 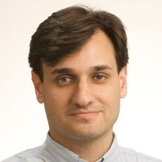 In 2005, he became Acumen Fund's Country Manager in Pakistan. Originally from Karachi, Aun came to the United States to attend the University of Chicago, where he earned a BA in Economics. Ms. Roshaneh Zafar is the Founder and Managing Director of Kashf Foundation – the first specialized microfinance organization in Pakistan established in 1996. Kashf Foundation was awarded the Microfinance Excellence Award by the Grameen Foundation-USA for its groundbreaking innovations in the field of microfinance in Pakistan, while in 2005 it won the AGFUND International Prize for Microcredit 2005 out of 98 countries. Prior to establishing Kashf Foundation, Ms. Zafar worked with the World Bank in Islamabad in the Water and Sanitation department for several years. Ms. Zafar was one of the first Ashoka Fellows in Pakistan and has been a Schwab Foundation Social Entrepreneur since 2004. Ms Zafar has also been awarded the Tamgha-e-Imtiaz, one of Pakistan’s highest civilian awards, by the President of Pakistan for her work in the field of development and women’s empowerment and was also awarded the Skoll Award for Social Entrepreneurship in 2007. Ms Zafar is a graduate of the Wharton Business School, University of Pennsylvania, USA and also holds a Masters degree in Development Economics from Yale University, USA. He is currently the President of Asia Pacific, NetSol Technologies Inc. and the Chairman and CEO of NetSol Technologies Limited, Lahore. 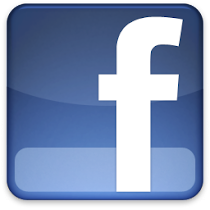 He has been heading NetSol Technologies Limited for the last thirteen years. During this tenure, NetSol has gained world-class recognition and sustainable growth, topping the list of IT companies in Pakistan and serving blue-chip clients all over the world. 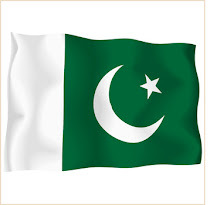 This IT icon of Pakistan has accomplished what governments and large institutions strive to accomplish in decades, and it is amazing to see how the zeal, will power, effort, courage, and hard work of a single man can reshape the future of IT in Pakistan. This is what that makes Mr. Salim a true visionary and one of the best-known entrepreneurs of the country. Mr. Salim is also serving as the first Honorary Consul of Australia for Punjab (Pakistan). SALIM GHAURI, THE IT ICON OF PAKISTAN SHARES WITH US THE SUCCESS STORY OF NETSOL’S SUCCESSFUL JOURNEY. IN THE FOLLOWING EXCLUSIVE INTERVIEW WITH THE EDITORIAL TEAM OF MANAGER TODAY, HE TALKS ABOUT HIS VISION AND STRATEGIES AT NETSOL AND HIS CONTRIBUTION FOR THE UPLIFT OF THE IT INDUSTRY IN PAKISTAN. Maira Khan, A well known actress/model/anchor who has all that is require - looks, attitude and ofcourse talent. Maira have already won the hearts of many fans around the world. Maira started off with her career 7 years ago as a model. Then different directors casted her in TV dramas. Till now, Maira have done more than 50 drama serials and sitcoms. Such as, "Yaad Piya Ki Aaye, Sooli, Chingariyan, Khumar, Kanpur Se Katas Tak, Kya Chaha Kya Paya, Dil-e-Nadaan, Justuju Jiski Thi ,Imtehan,No.1,Good News and Qabool Hai. Maira is also known is one of the good stage performer. As many of you have seen her performances on "ARY NACHLE and different award shows". A warm-hearted Piscean, Maira Khan, was born on 15th March in Lahore to her parents and have one younger sister and a brother. Completing her Matriculation from a private school and Intermediate from a Government College in Lahore. She has also done Bachelors of Commerce as a private candidate. 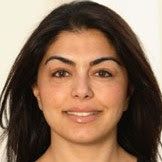 Andleeb Abbas has been involved in the field of training and consultancy for the last 12 years. She specializes in the areas of Strategic Management and marketing strategy and has trained nearly all top local and multinational organizations. She is presently running her own training institute in Lahore, by the name of Institute of Marketing & Sales (Profile of the institute is available at www.imsknowledge.com) She is also the CEO of the world’s largest training and consulting brand by the name of FranklinCovey Pakistan. She is a training and marketing consultant to the World Bank, Asian Development Bank, and DFID. She is also a visiting faculty member at LUMS, LSE and Imperial College. She has published 30 papers and over 500 articles and currently writes for DAWN and NEWS Sunday magazine. In 2002 she was the only Pakistani to be declared as one of the top 30 Strategic Thinkers in the world by the World Bank Washington DC social development department, and consequently was invited to assist the World Bank in preparing their next 10 year strategic plan. 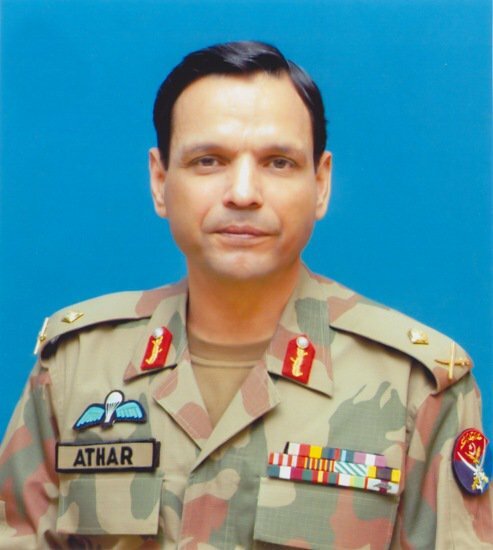 Major General Athar Abbas is a two-star general and the current military spokesperson for the Pakistan Defence Forces who replaced Major General Waheed Arshad as the new Director General of Inter Services Public Relations (DG ISPR) on January 14, 2008. General Abbas was commissioned in October 1976 in the 54th PMA Long Course from the Pakistan Military Academy, Kakul into the Armoured Corps. He has held various command, staff and instructional appointments that include command of an armoured regiment, armoured brigade and armoured division. He has been General Staff Officer (Operations) in various armoured formations. 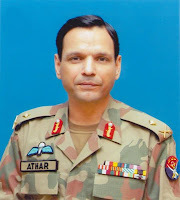 He is a graduate of Command and Staff College, Quetta and Armed Forces Staff College, Malaysia. Before joining Inter Services Public Relations Directorate, General Abbas was serving as Director General Quartering and Lands in Quartermaster General’s Branch, General Headquarters. After he was appointed as the DG ISPR, Major General Mohammad Farooq replaced him at his previous position. Nadeem Sarwar is a son of (Late) Syed Asrar Hussain Rizvi and Syeda Nargis Khatoon of Karachi, Pakistan. Married, with three children, Nadeem Sarwar lives in Karachi, Pakistan. He started Nauha Khwaani at the age of four years old and his first teacher for reciting was his mother anddedicated himself to Nauha Khwaani at the age of eight. 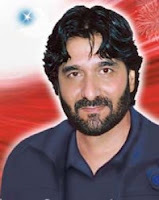 Nadeem Sarwar has recited in different languages such as Urdu, Sindhi, Sariki, Punjabi, Pushto, Pourbi, Hindi, Gujarati, Persian, Arabic, English, and French. Nadeem Sarwar has recited Nauha in many different ways of Matam like Persian Matam, Arabic Matam, Quetta Matam, Parachanar Matam, Afghan Matam, Sariki matam, Punjabi Matam, Sindhi Matam, Hyderabad Dakkan Matam and Khoja Shia Ithna Asheri Saf Matam. Nadeem Sarwar has travelled to all five continents throughout, to promote Azadari. United States of America (New York, Allentown, New Jersey, Orlando). Canada (Toronto, Edmonton, and Hamilton). These include many cities around the Globe, including the best of Imambargah. He has had many other invitations from cities which he hasn't yet had a chance to recite, but Insha-Allah, those cities which haven't been able, can now contact him through this website. He has seen Azadari at different levels and has tried his best to adjust himself in order to make sure Islam is spread in an appropriate manner. Whilst travelling the world, Nadeem Sarwar has been honoured to be given the chance to appear in many world-wide as well as local newspapers and television stations, including, TelevisionAsia, ZeeTV, PakistanTelevision, Dar-es-SalaamTelevision and Midlands Asian Television. Academic Background: Mechanical Engineering, Commercial Designing, Fine Art, as well as Interior Designing. 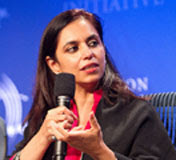 Jasmeen Manzoor born in Karachi and did her Masters in International Relations. She’s been working as a producer and television anchor since 1999. In March 2010, Jasmeen started hosting SAMAA TV's flagship primetime program called 'Tonight with Jasmeen'. This program is aired Monday to Thursday from 10:03pm-11:00pm. Jasmeen has also made documentaries on various subjects and has received four awards for her outstanding work, one of which was the Benazir Excellence Award for Best Female Anchor in Pakistan in 2009. 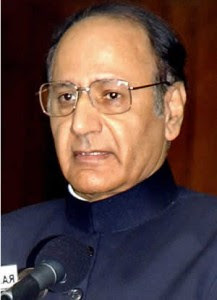 Chaudhry Shujaat Hussain is a famous Pakistani Politician; he belongs to a Jatt (Warraich) Family of Gujrat, Punjab. He was the Interim Prime Minister of Pakistan for only about 2 months (30 June, 2004 ~ 28 August, 2004). Ch. Shujaat Hussain is son of a great politician Ch. Zahur Elahi (late), brother of Ch. Wajaat Hussain (Politician) &Ch. Shufaat Hussain (District Nazim of Gujrat) and cousin of Ch. 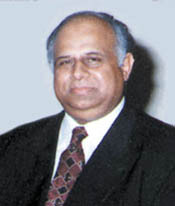 Pervez Elahi (Ex. Chief Minister of Punjab). His family is called as Chaudhry’s Family of Gujrat. Chaudhry Shujaat Hussain came into politics in 1982 after the assassination of his father. He has proved himself a more respectable politician among public and other politicians too. Muhammad Hanif Abbasi MNA from Pakistan Muslim Leage N was born on January 4, 1966. He got his early education from Muslim League High School, Empress Road, Lahore. His father’s name is Muhammad Jalil Abbasi. He got his higher education at the FC College and Punjab University. Impressed by Mr. Hanif, a teacher of Islamic Studies, at FC College, Hanif Abbasi has been taking interest in cricket and football. He joined politics as a school student in 1977. His aspiration after being elected as a legislator is to protect the ideology of Pakistan and fulfill his commitment with the motherland. He thinks that so far the country’s status would not very good after 20 years. However, he hopes the situation would be much better if a good leadership emerged on the political scene of the country. First he thought that Maulana Abul Ala Maududi, for his scholarly capabilities, was the best person to lead Pakistan and now he thinks Mian Muhammad Nawaz Sharif is the best option to lead the country as a prime minister. 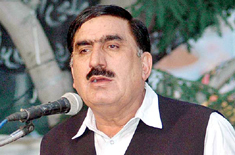 HE has been elected MNA for his first term as an MMAP candidate during the bye-election after SheikhRasheed ahmad vacated his seat following his election from two constituencies. He is politically affiliated with JIP. Inspired by his mother and Dr Abdul Qadir Khan, his top most priority is the sovereignty of the country. On the global scene, he is impressed by the leadership qualities of Mahathir Mohamed, former prime minister of Malaysia, and Chinese leaders. He is involved in the pharmaceutical wholesale business. He wants the youth of today to do everything with commitment and sincerity. Shahi Sayed President Awami National Party Sindh, originally from Barozai villege of district Mardan KPK. He owned CNG gas stations in Karachi before becoming involved in politics. Shahi Syed also lovingly called as "Shahjee" shifted to Karachi in the decade of 1970s after doing matric. Initially, he worked on petty jobs in textile mills for quite some time and later started small business in Karachi. Though, he started small but thought very big which he practically proved in his multiple business ventures at Karachi, the largest city and business as well as financial hub of the country. He was somewhat enterprizing person right from his beginning as informed by his friends who had set very high goals for himself. He worked very hard for achieving these goals. Soon he became well off and became a popular elder in the city especially Pakhtuns his own people. Now a time had come to bring an altogether change in his life style, for which he shifted to a gorgeous house in the posh area of wealthy people, DHA. He purposely named his house "Mardan House" after the district he belongs. There he took a huge turn of his career and started mixing with the members of the elite class of the city with a high success and comfort. His style was really unique which worked well as he never aspired for seeking any favour from others rather he initiated to oblige others within his own resources. This was something new in the city of Karachi which is otherwise notorious for its materilistic approach in the country. Despite nominal education coupled with moderate rural background, Shahjee enjoys highest level of confidence. He has a large circle of loving friends almost in every walk of life. Shahjee is known for his superb hospitality and it is very very rare that he may not be hosting a couple of his friends almost every evening in his large beautifully decorated drawing room. Dining without friends in the evening is somewhat unusual for this ever-smiling first generation popular Pakhtun politician of Karachi. The very art of much needed public relationing and dealings in politics is God-gifted to this person. He knows the art how to befriend others and also knows the very value and true spirit of friendship at a later stage. Temporemntally, he is courteous, good and helping to the people and public in large.